Natalie Chin-Williams is thirty-six, single, a tenured professor of climatology, pessimistic about the fate of the world and romance, and not interested in ever having children. This doesn't stop her extended family members from constantly telling her to have children, especially at weddings. 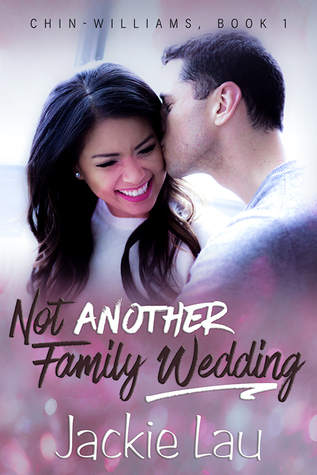 Weddings always seem to be a disaster in her family, so when her little sister is getting married, Natalie enlists her friend Connor to come with her for moral support. He's safe, because they've known each other nearly twenty years, but there are some feelings present anyway. Jackie Lau writes great mixed heritage heroines for her contemporary romances, and this is another nontraditional one. Natalie is older and has given up on the idea of marriage because she is "a certain age," as well as doesn't want to bear children of her own. There aren't many romance novel heroines who are like that. She loves her family and has foibles of her own, and the difficulties within her family (racism, sexism, homophobia) are openly discussed by the characters and never excused away. They're simply a facet of Natalie's family, just as they would be in every other family. The mention of postpartum depression was also treated in a matter of fact way, and I liked that this bit of realism was also incorporated realistically. The relationship between Natalie and Connor is a fun one to see, as they are very good friends before the kissing starts. The friends to lovers aspect of the story means that it's very comfortable and the only angsting in the relationship comes from Natalie being pessimistic and feeling as though she shouldn't have a happy relationship. Connor has his own less than stellar romantic history, but he is a strong personality and cares for Natalie as a friend in addition to his romantic feeling. The two of them work well together, making this a fun read. Iris Chin is a structural engineer and the last single grandchild in her family. Her mother and grandmother continue to play matchmaker despite their own marriages and her tendency toward one night stands instead of relationships. Her latest one, Alex Kwong, turns out to be the construction supervisor on a project she's working on, and she has developed feelings for him in spite of herself. This is another book detailing the love lives of young professionals of Asian descent. It's a category that sorely needs more books in it, especially by those of the culture itself. 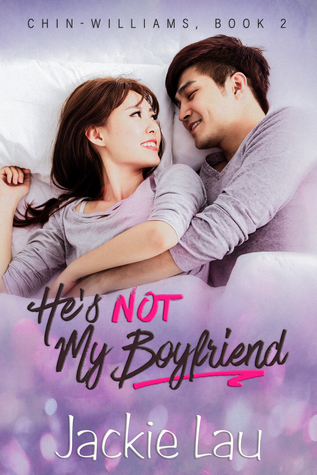 While this book definitely delves into some of the cultural aspects of romance and marriage within the East Asian culture, it also is very much a romantic comedy that uses the familiar romance novel tropes. Here, it's the woman in the relationship who doesn't want the long-term relationship, but it's definitely a case of "catching some feels" and it deepens from there. There are a lot of little touches from the very beginning as we meet the Chin family in the wake of Natalie's wedding, and then meeting Alex and his father. From the food, the phrasing of the older generations asking about day to day friendships and relationships, to the crosstalk from the extended family, it is all familiar to those in the culture and even for those that aren't. We all know what it's like for older generations feeling as though marriage and children are the answer to all problems. Ngin Ngin, Iris' grandmother, is hilarious to read about. There is certainly some second-hand embarrassment as she and Iris' mother try to set her up with different men, which of course leads her to bring Alex over in an effort to get Ngin Ngin to stop. The interactions are cute, and Alex does very well with Ngin Ngin's rapid fire questions. She is very much a no-nonsense grandmother you would see in romantic comedies, but she also has her heartbreaking stories about what it was like in China prior to her emigration to Canada. It taps into the feeling of disconnect a lot of first and second generation (grand)children have regarding their heritage and family, as well as the sense of community that is so strong in Asian families that can be broken by a move that far away. This novel also addresses grief with the loss of a parent and touches on the fact that difficulties in life don't actually mean that someone is dissatisfied with marriage. It's done in a sensitive manner and doesn't detract from the contemporary romantic comedy. I really enjoyed the story, and the emotional conflicts resonated with me.